Inventory We are a resale marketplace, not a box office or venue. Ticket prices may exceed face value. This site is not owned by Simpsonville Tickets . 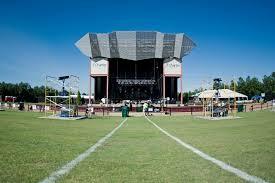 Heritage Park Amphitheatre is located in Simpsonville, SC which is near Greenville. The Heritage Park Amphitheatre is in a great location with sufficient access from interstate 385. Lots of Hotels and restaurants are near by so you can make a whole weekend out of the concert experience. Prior to the name change the amphitheater was referred to as the Charter Spectrum Amphitheatre. This is one of the fastest growing areas in the South East and there is demand growing for outdoor summer concerts and the Heritage Park Amphitheatre fills that void beautifully. SimpsonvilleBoxOffice.com is a privately held company that specializes in the sale of tickets in the secondary market. We are not affiliated with any official supplier or box office. To purchase tickets to any Simpsonville events simply call our operators at anytime or click on the event you wish to attend.